독일 활 제작가 중에서도 기술적인 완성도가 뛰어난 제작가에 속합니다. 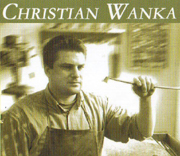 아들의 이름은 Christian Wanka 입니다. in Bubenreuth under the direction of Emanuel Schuster. 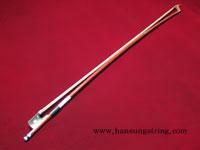 in Gotthard Schuster´s well respected Bubenreuth bow making workshop. the auspices of the chamber of trade Nuremberg. 1971 he opened his own workshop in Bubenreuth. 1977 he moved the workshop to Baiersdorf. which he has basically never changed over the years. and colleagues during his independence steadily. 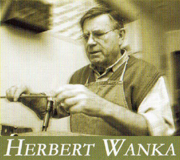 Today Herbert Wanka looks back at an over 50-year-old experience in bow making. and abroad reflects the valuation of his work again. his passion bow making till this day. ( highest national rating in the journeyman’s exam ). In the connection he worked as a journeyman in his fathers workshop. with the US bowmaker William Salchow, New York. the auspices of the chamber of trade Chemnitz. Since 2004 he leads the workshop of his father and continues the family tradition.